Joining INSIGHTS host Dan Boylan for the hour-long live broadcast at 7:30 p.m. Thursday, Sept. 8, will be UH President M.R.C. Greenwood, UH West O‘ahu Chancellor Gene Awakuni, UH Hilo Chancellor Donald Straney, and UH Mānoa Hawai‘inuiākea School of Hawaiian Knowledge Dean Maenette Benham. HONOLULU – Higher education and the role and impact of the University of Hawai‘i System as the state’s only public institution of higher education will be the topic of discussion on “INSIGHTS” on PBS Hawai‘i on Thursday, Sept. 8. Joining host Dan Boylan for the hour-long live broadcast at 7:30 p.m. will be UH President M.R.C. Greenwood, UH West O‘ahu Chancellor Gene Awakuni, UH Hilo Chancellor Donald Straney, and UH Mānoa Hawai‘inuiākea School of Hawaiian Knowledge Dean Maenette Benham. The panelists will share the latest developments at the University of Hawai‘i’s 10 campuses statewide. Discussion will also include the role of the UH System in creating and disseminating knowledge, fostering innovation to help grow the local economy and preparing Hawai‘i’s workforce for the next generation of jobs. The program airs live at 7:30 p.m. on Sept. 8 and will be rebroadcast on Friday at 9:30 p.m. An audio rebroadcast will play on Sunday morning at 6 a.m. on both KUMU 94.7 FM and KPOI 97.5 FM. Viewers can join the discussion by calling in during the live broadcast to 973-1000 on O‘ahu or 1-800-238-4847 from the neighbor islands, emailing questions to insights@pbshawaii.org, or follow the discussion on Twitter and send comments to @pbshawaii. For more information visit www.pbshawaii.org. UH Hilo faculty recently awarded tenure and/or promotion, along with new faculty and staff, were recognized at the University of Hawai‘i at Hilo’s 2011 Fall Welcome event on August 26. 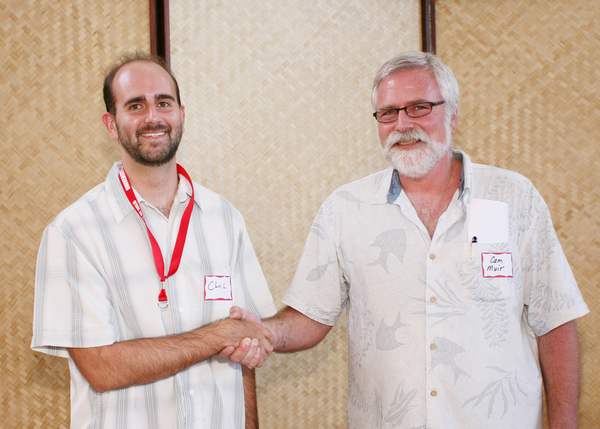 UH Hilo faculty awarded tenure and/or promotion this year were honored at Chancellor’s 2011 Fall Welcome. L-R, front row: Roberta Barra, Amy Saxton, Yoshiko Okuyama, Tam Vu, and Candace Wheeler. L-R, back row: Drew Martin, Kimberly Kainoa Ariola-Sukisaki, Kathleen Stacey, Carolina Lam, Supakit Wongwiwatthananukit, Yiqing Li, and Steven Herman. Missing in photo: Robin Takahashi. 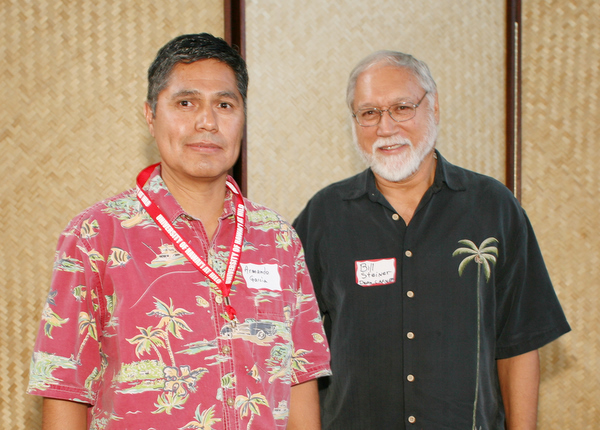 Faculty recently awarded tenure and promotion were recognized at the University of Hawai‘i at Hilo’s 2011 Fall Welcome event on August 26. Steven Herman, to associate professor, psychology. Yiqing Li, to associate professor, tropical forestry. Tam Vu, to associate professor, economics. Supakit Wongwiwatthananukit, to associate professor, pharmacy practice. 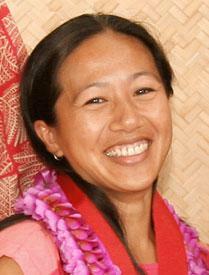 Carolina Lam, to assistant specialist, Center for Global Education and Exchange. Amy Saxton, to librarian III, library. 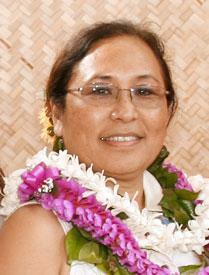 Kimberly Kainoa Ariola-Sukisaki, junior specialist, Kīpuka. Drew Martin, to full professor. 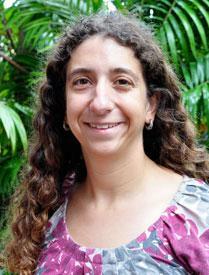 Robin Takahashi, to assistant professor, kinesiology and exercise sciences. Candace Wheeler, to assistant specialist, College of Continuing Education and Community Service. 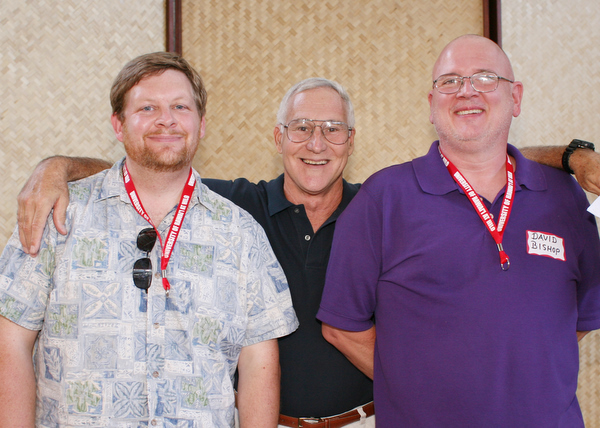 New faculty and staff also were recognized and welcomed to the university ‘ohana/family. Please see the photos below for names of new faculty and staff who attended the event. Armando Garcia-Ortega (at left), assistant professor of fisheries and aquaculture, is welcomed by Bill Steiner, dean of the College of Agriculture, Forestry, and Natural Resource Management. 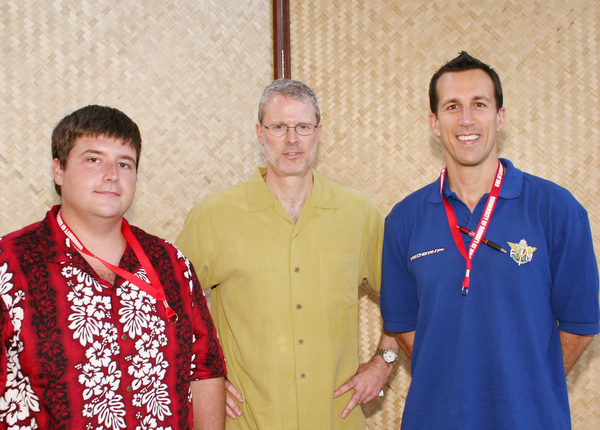 Leon Hallacher (center), division chair for natural sciences, welcomes new faculty Josh Walawender (left), assistant professor of astronomy and director of the Hoku Kea Observatory, and David Bishop (right), instructor of computer science. Chris Frueh (center), division chair for social sciences, welcomes Eric Heuer (left) to the psychology department, and Emmanuele D'Artibale (right) to the kinesiology and exercise sciences department. New faculty member Chris Lauer (left) of the philosophy department is welcomed by Cam Muir, associate dean of the College of Arts and Sciences. 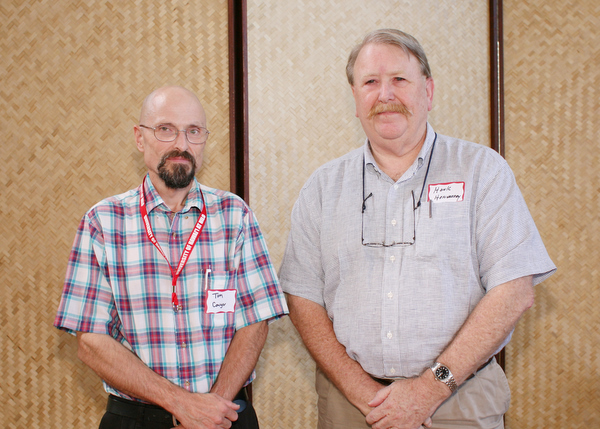 Tom Cowger (left), administrative services officer, is welcomed by Hank Hennessey, interim dean of the College of Business and Economics. 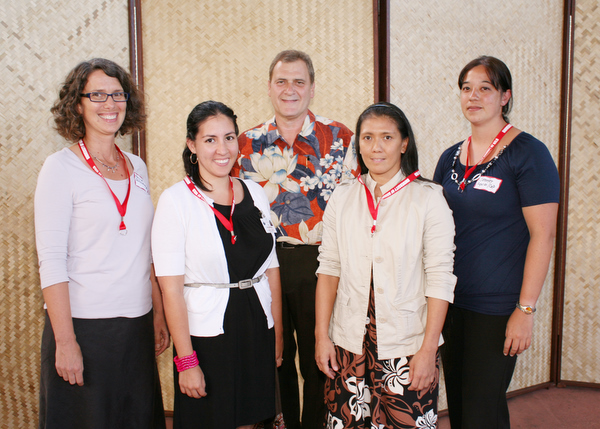 John Pezzuto, dean of the College of Pharmacy (center) welcomes new faculty (l-r): Paula Zeszotarski, Ana Barrenchea, Dana-Lynn Ko'omoa-Lange, and Jennifer Aguiar. 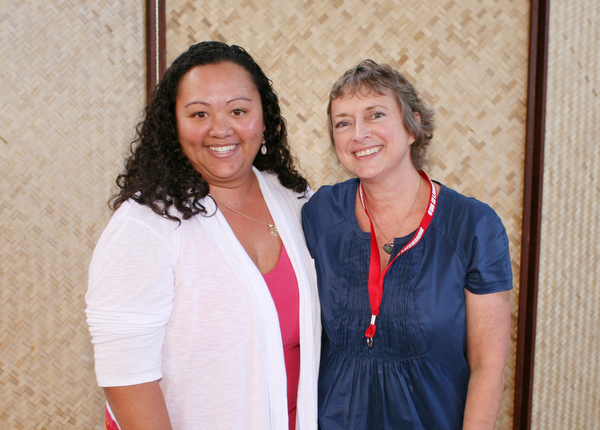 Farrahmarie Gomes (left), interim dean for the College of Continuing Education and Community Service, welcomes Laurel Luth to UH Hilo. Norm Stahl (second from left), executive coordinator of student success programs, welcomes four new employees to student affairs. Left to right: Shelly Clark, associate director, residence life, university housing; Stahl; Holly Chang, academic advisor; Kelsey Iyo, admissions counselor; Jenna Waipa, resident hall manager. The plan states the purpose of UH Hilo is to challenge students to reach their highest level of academic achievement, summed up in the ‘olelo no‘eau: ‘A‘ohe pau ka ‘ike i ka hālau ho‘okahi/One learns from many sources. 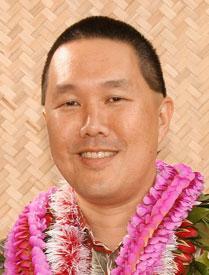 In June, I accepted the final draft of the University of Hawai‘i at Hilo’s 2011-2015 Strategic Plan. The plan will be sent to the UH System Board of Regents for approval in principle this fall. Until that point, we will be using the plan as a working document to help inform decision-making, resource allocation, and unit planning. The plan was endorsed by the three governance/advisory bodies represented on the Strategic Planning Committee: Faculty Congress; Hanakahi Council; and UH Hilo Student Association. From those people who completed the endorsement surveys, there was an indication of 88% endorsement from faculty and staff, and 84% from students. The final draft is the culmination of many months of work and significant input from UH Hilo stakeholders. Mahalo to the Strategic Planning Committee members for their hard work and dedication to the process, and to everyone who gave their feedback through the various consultations and other mechanisms. 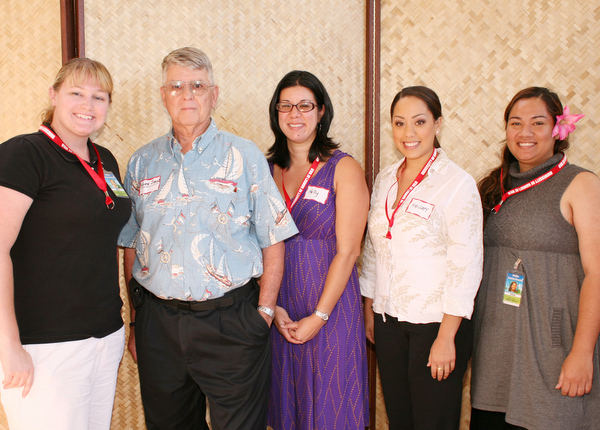 The plan states the purpose of UH Hilo is to challenge students to reach their highest level of academic achievement. To do this, we will inspire learning, discovery and creativity inside and outside the classroom. Ultimately, our university improves the quality of life of the people of Hawai‘i, the Pacific region, and the world. Our mission is summed up in the ‘olelo no‘eau: ‘A‘ohe pau ka ‘ike i ka hālau ho‘okahi/One learns from many sources. It is from this core mission that our strategic plan emerges. and we will attain organizational excellence. Leadership and accountability. The vice chancellors and I fully endorse this strategic plan and we are committed to putting it into action. In that vein, I held a retreat for the senior leadership team in July where we discussed the plan and how we will facilitate implementation. We’ll be looking to identify action facilitators over the coming weeks so that there is a point person for each action. We’re also working on developing outcome measures for the goals and actions so that we will all be able to determine how well we’re progressing against what the plan sets out. Embedding the plan into the university. 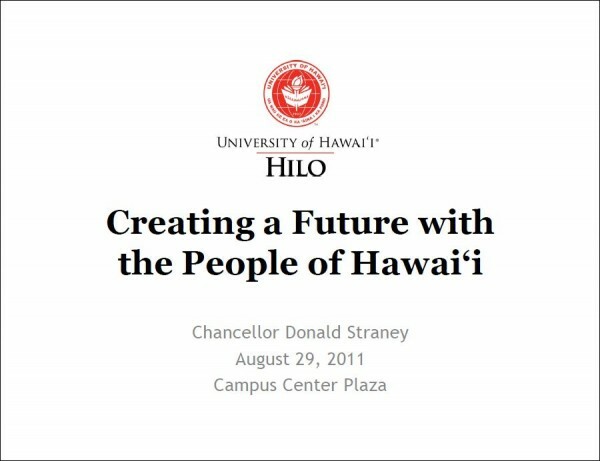 The strategic plan is UH Hilo’s strategic plan. To help build a sense of ownership for it across the university, I am going to ask major units to develop an implementation plan that will detail their own contributions toward the strategic plan. At the time of writing, the vice chancellors and I are working on guidance for unit implementation planning and you will hear more over the next few weeks about how that will work and what will be expected. Doing implementation. Although we will be doing implementation planning over the next year, we also will be doing implementation and I am pleased to report that we are already making progress. Of particular note in relation to priority action 3.2 on upgrading the university’s technology infrastructure is that our Office of Campus Technology is working to improve wireless broadband capability across the entire campus. This work is ongoing and will be achieved by upgrading 300 access points on campus: 62 in the library; 42 in housing; 40 in the University Classroom Building, 19 in Kanaka‘ole Hall, and the remainder will be used for upgrading access points on campus and expanding wireless broadband coverage in areas where it is not adequate. Specifically, we will shortly have 100% wireless broadband coverage in the library where up to only a few months ago it was only at 40%. This is an important upgrade especially for our students who had raised the issue of poor wireless coverage in the library during the strategic planning feedback processes. I’d also like to share with you the four things I’m currently putting into place as an introduction to the next phase of the process: strengthening applied learning, teaching and scholarship (goal 1); community partnerships (goal 5); and organizational excellence (goal 6). The hiring of an internship coordinator will impact three areas: applied learning; teaching and scholarship; and community partnerships. The coordinator will support and increase student internships and practica with local businesses and agencies as well as student involvement in faculty research. Further, the coordinator will work on ways to integrate teaching and research to engage students in collaboration with faculty. Also included will be professional development opportunities and programs for promoting the development and sharing of innovative teaching and mentoring practices. 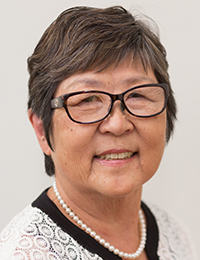 The internship coordinator also will connect the university and students with the community through internships and practica; joint meetings between UH Hilo and Hawai‘i Community College administration will begin to identify joint program ventures, and activities that could benefit the island and state. In the area of organizational excellence, I am committing $100,000 each year toward faculty, staff (APT) and support staff (Civil Service/UPW) development opportunities and programs focused on continuous learning and improvement, which will be supported by three advisory groups representing the three categories of employees. The implementation phase of any plan is complex and non-linear, while at the same time being the most rewarding. I cannot promise you that it’ll be an easy process to implement this plan, but I can promise you that in working together we can and we will put this 2011-2015 Strategic Plan into action and we will see positive, enduring results for our university.